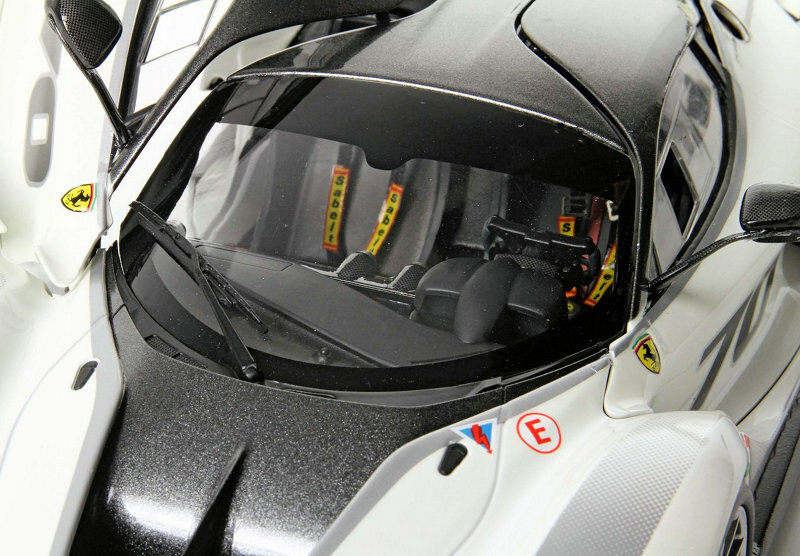 BBR releases official image of the production 1:18 Ferrari FXXK Evo in White. 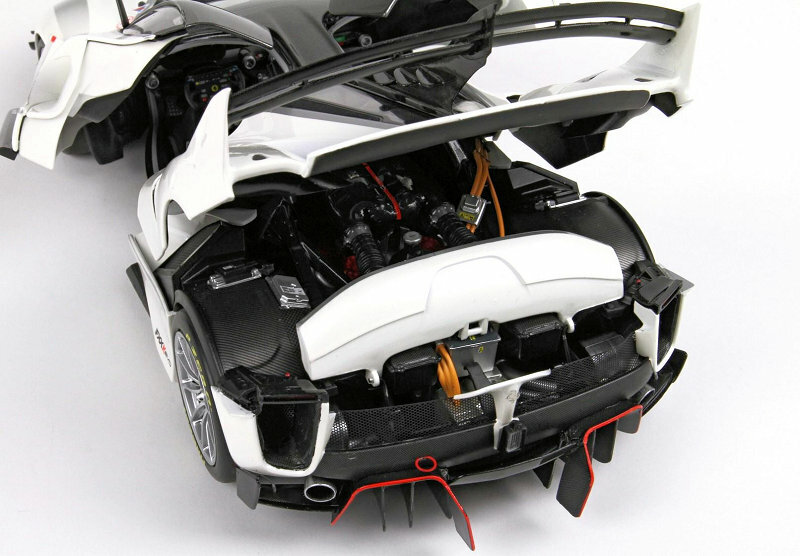 Full access and quality detail should make this another win for the team if the model is priced the same as the predecessor Ferrari F12 tdf. We love the functional whale tail in the rear too. 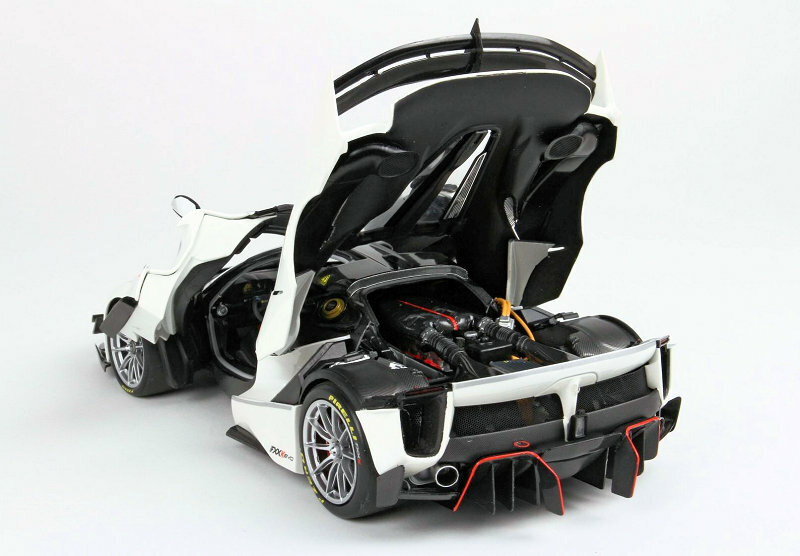 6 Responses to "BBR Official Ferrari FXXK Evo Diecast"
It don´t look as better as the extracost for a Bburago.. Is maybe 360 Extra bucks, looks great, but not for the price.. This model car is made of metal, with doors and bonnet that can be opened. A long engineering study was carried out for these openings parts. The rear bonnet has a faithful opening, without stops that end up on the roof, like all other brands. This small difference is a great innovation for making steel molds. The closure of the engine bonnet is faithful to the original closure. The rear mobile wing has also been replicated, which after a certain speed exits from the car to balance the aerodynamic load. With a double pressure of the hand it is possible to extract it from its seat. The color of the car is Bianco Italia metal. 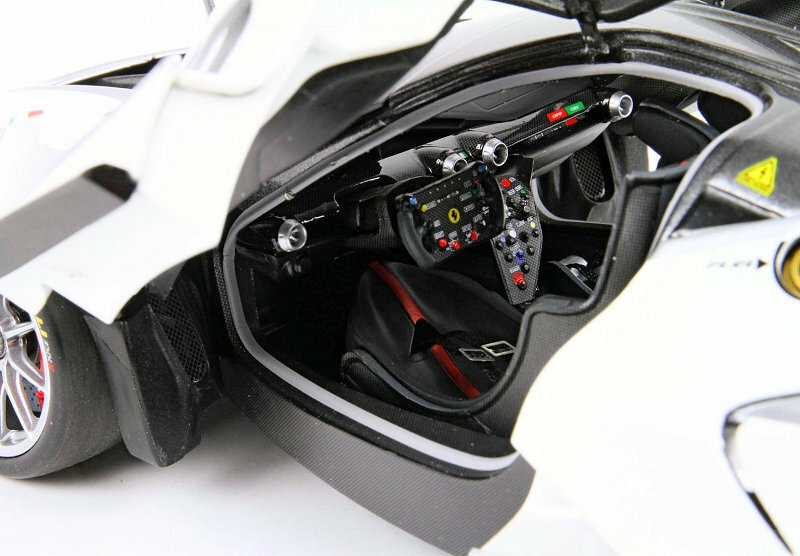 Model comes with an eco-leather base with red stitching, FXX-EVO writing in steel, Ferrari team logo in steel. 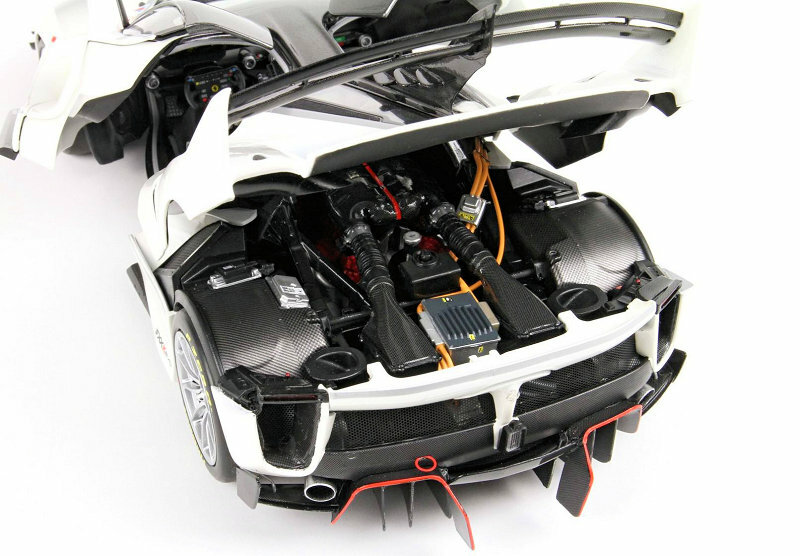 exclusive BBR Exclusive Car Models package. Nero FYI already 415 pre-sold. The ONLY “sad” Ferrari collectors will be those that missed this one. Now, now NERO….You’re insecurities are showing. Putting others down won’t make your insignificant life any better. 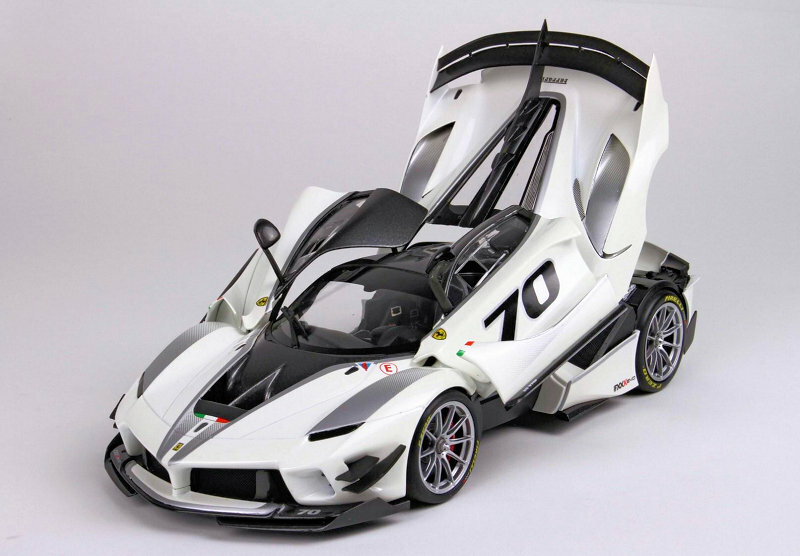 I have the Bburago Signature FXXK evo (red #54) & I have this white BBR on pre-order as well. The Bburago evo is basically the same as their FXXK with the modded enhancements being the differences in evo spec. Of course they would look similar – from a distance! But get up close, the details & quality of the BBR would blow the Bburago right outta the water. No contest really.